For the Behavioral Analysis Unit, it's all in the details. Some insider information from the show's executive producers, in honor of the 200th episode. 1. Every character on the show has a personal trauma, and that's not an accident. It's because of the show's crime-of-the-week structure that the personal stories of the heroes are often so dark. "The personal story has to have the same emotional weight as the case," Criminal Minds co-executive producer Breen Frazier told BuzzFeed. They have to match the main story "in darkness or intensity." When there's a lighter personal storyline, said producer Rick Dunkle, it usually bookends the episode. "It's very hard in the middle of a case," he said. "People are dying. 'Oh, Morgan, are you gonna go on that date?'" He laughed. Frazier offered "I'm late for my taxes" as another mundane storyline that would seem absurd in the context of the show's murder investigations. 2. When Rossi shot a duck the first time he appeared on Criminal Minds, it had a very specific meaning. Joe Mantegna filled the spot left by Mandy Patinkin, whose character — kindly and experienced Senior Supervisory Special Agent Jason Gideon — was an avid bird-watcher. "You do the math," Frazier said. 3. Dr. Reid doesn't touch computers or have a smartphone because, despite being a brilliant polymath, he is technophobic. "He'd rather use an abacus than a calculator," Frazier said. 4. Writer/producer Rick Dunkle briefly appears as a dead body in Season 4's "Paradise." "It was my dream to be killed by Wesley Crusher," said Dunkle — a Star Trek: The Next Generation fan — explaining why he begged to play the victim of guest star Wil Wheaton. 5. The professional timelines of these characters are frankly a little impossible. Agent Hotchner, for one, went to law school, worked as a prosecutor, joined the FBI, worked in Seattle, and has now worked his way up to a top position in the BAU, and somehow did this while aging very slowly. "Clearly, our guys are the elite, so we just buy that [their achievements] were overlapping," Dunkle said. "We try our best to maintain strict continuity." "Typically, you have to be in the FBI about 10 years" before you can join the BAU, explained Jim Clemente, a former BAU agent who is now a writer/producer on the show. 6. Dr. Reid has an MIT degree because of a mistake. Frazier, who wrote Season 7's "Painless," confused MIT with CalTech, and the mistake slipped everyone's notice. Extra degree! 7. "Presenting the profile" isn't a real thing. On the show, the BAU agents stand in front of a room full of "cops dutifully taking notes," Frazier said. In reality, it would be more of a dialogue. Clemente said the real process is "not as formal" as it is on the show — they might tweak the profile in the field, or sitting around a table, or on the phone. "If it's a dynamic case, what we do is dynamic as well," he said. 8. The actress who plays Agent Gina Sharp is Gina Garcia, who worked in Criminal Minds' casting department. Garcia has gotten out of casting and is focusing on acting now, so she's only on Criminal Minds when Gina Sharp is on Criminal Minds. But she's in the same theater company as Kirsten Vangsness. They're close friends, she said. "She introduced me to my husband!" 9. Cognitive interviews on the show are not very realistic. "Jim's done it with us sometimes, like when we can't find our keys," Frazier said. "On our show, it's basically hypnosis," he continued, saying that this drives him "crazy." "If you hypnotize a witness, you cannot put them on the stand to testify," Clemente said, adding that cognitive interviews do capitalize on some of the same memory systems as hypnosis. Frazier's key story, he said, is true: Simon Mirren, who was a producer on the show, couldn't find his car keys. Clemente pulled the shades in an office and conducted a cognitive interview. It turned out the keys were in the console of his car. 10. Garcia's character does community theater because Kirsten Vangsness is a real-life thespian. 11. In Season 8, she dates the man she shoots in the play in Season 6. 12. 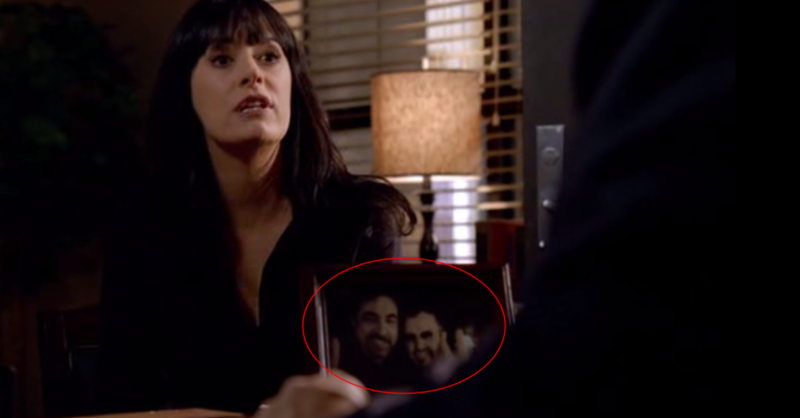 Because Joe Mantegna is friends with Ringo Starr, Rossi has a photo of himself and Starr on his desk at the BAU. Looking forward to the cameo. 13. Haley Hotchner's wig wasn't really for her own safety. When Hotch's wife is in protective custody, she wears a dark wig. This was not because Haley Hotchner was trying to look incognito, but rather because Meredith Monroe, the actress who played her, had changed her hair for a role on Californication in the interim, Frazier said. The writers used the change to heighten tension — to show he had tracked down Hotch's wife and son, the killer tells him that Haley looks good as a brunette. 14. The FBI definitely does not pay for a BAU jet. "The BAU jet is also a point of contention with the real BAU," Frazier said. On the show, "they get treated better than real-life FBI agents." Clemente estimates he must have gone on 400 or 500 flights in his time at the BAU. "We fly coach," he said. 15. Also, it's unclear who the pilot is. "One day, we're gonna see the pilot, and it's gonna be [showrunner] Erica Messer," Dunkle said. He was joking. OR WAS HE? Erica Messer and me tweeting during the season opener. 16. Kirsten Vangsness dyed her hair red for a side project, and it mixed up the continuity with the 2011 spin-off Criminal Minds Suspect Behavior when she dyed it blonde again. "I loved that look," said Frazier, somewhat wistfully. 17. Lily Kershaw, who played Kelly in Season 4's "To Hell...And Back," is also on the soundtrack during JJ's wedding in Season 7. Lily Kershaw is the daughter of producer Glenn Kershaw. Bonus: Just to remind you, JJ's son is played by A.J. Cook's actual son, Mekhai Andersen. If you are a fan, you probably knew this already — this is more an excuse to look at those cheeks. The 200th episode of Criminal Minds airs Feb. 5 at 9 p.m. on CBS.